To hear Scott Walker tell it, Republicans are up against the ropes. A second Wisconsin judge has blocked some of the lame-duck laws the GOP-controlled state legislature rammed through in December before the incoming Democratic attorney general and governor assumed office. 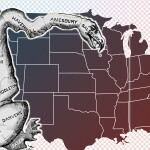 The Supreme Court has for decades avoided addressing partisan gerrymandering, concerned about about meddling too much in the inherently political process of drawing state legislative and congressional districts. 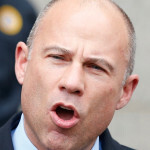 Tough-talking, Trump-critiquing attorney Michael Avenatti is facing federal charges in two states over alleged schemes to extort Nike and to commit bank and wire fraud. Attorney General Bill Barr has known for three weeks that special counsel Robert Mueller would not be making a determination on whether President Trump obstructed justice, multiple outlets reported Monday. Asked Friday about news that special counsel Robert Mueller’s report was submitted and no more indictments were coming down pike, House Intelligence Committee Chairman Adam Schiff (D-CA) said that wasn’t the end of the story. “There may be conduct that was criminal but not sufficiently provable or there may be a broader body of conduct that is deeply compromising to national security but not a criminal matter,” Schiff told CNN. Like many other congressional Democrats, Schiff called for the full report to be made public and for the underlying evidence to be made available for review. Democrats say they want nothing less than the full story of what Mueller found in his 675-day-long investigation, even if they have to subpoena the special counsel or Barr to provide testimony. “If there’s evidence of a compromise, whether it arises to criminal conduct or not, it needs to be exposed,” Schiff said. Schiff said it would be a “horrendous double standard” not to provide a full account of the evidence, since the Justice Department agreed to turn over some 880,000 pages of discovery to Congress in the investigation over Hillary Clinton’s use of a private email server. 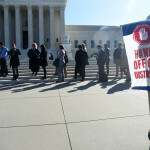 Congress’ two top Democrats on Friday urged Attorney General Bill Barr to make the full Mueller report public and to prevent the White House from receiving any advance review of the now-submitted document. 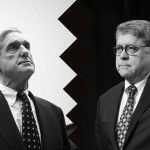 “Now that Special Counsel Mueller has submitted his report to the Attorney General, it is imperative for Mr. Barr to make the full report public and provide its underlying documentation and findings to Congress,” Senate Minority Leader Chuck Schumer (D-NY) and House Speaker Nancy Pelosi (D-CA) said in a joint statement. “Attorney General Barr must not give President Trump, his lawyers or his staff any ‘sneak preview’ of Special Counsel Mueller’s findings or evidence, and the White House must not be allowed to interfere in decisions about what parts of those findings or evidence are made public. This week saw frenzied, hyperbolic speculation about the impending report from special counsel Robert Mueller. Months after the first published reports warned that the report was coming, Justice Department reporters and cable news pundits are insisting that this time it really, truly is imminent. 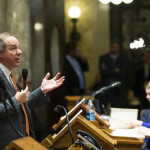 A Wisconsin judge has blocked a set of laws that Republican lawmakers pushed through in a December lame duck session to curb the power of newly elected Democratic Gov. 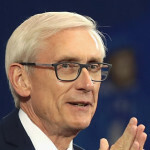 Tony Evers and Attorney General Josh Kaul, the Milwaukee Journal-Sentinel reported Thursday. 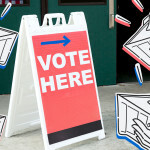 The next few weeks will determine the fate of a high-profile campaign to restore the voting rights of hundreds of thousands of formerly incarcerated Floridians.